If there is one true fact about home decorating, is that everything comes back in style. What once was popular will come back around in home interiors. As much as one likes to believe that pinks and red is colors that have just become widely popular to use in home decorating... they have been popular for decades. All the color charts I am using within this post. 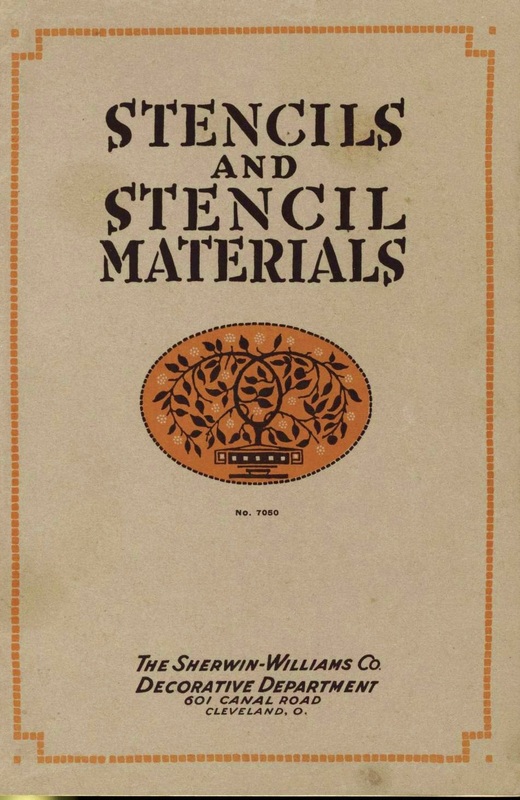 Are from a 1910 Sherwin Williams pamphlet. The blues and greens are really lovely from this period too! I love that fun bold colors were easily used in daily decorating. And of course... there is always that heinous shades of brown in every generation too. As I was looking through the Sherwin Williams pamphlets... I saw more amazing painting techniques.